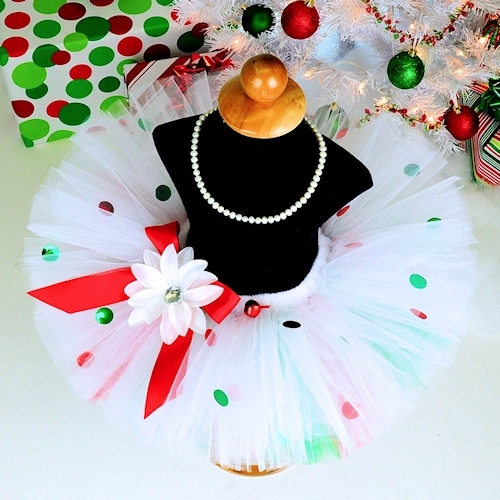 Red Green White Christmas Tutu with Polka Dots for baby girls to adult women. 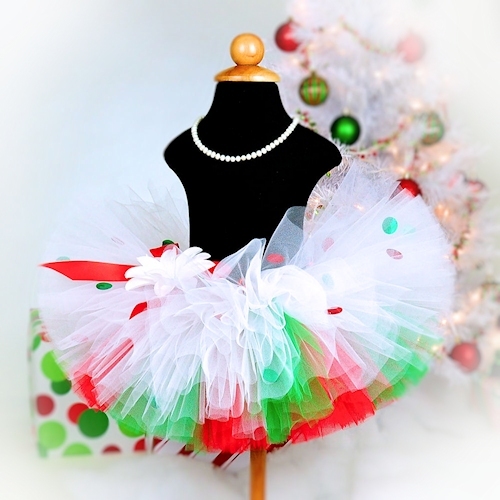 The Christmas Cutie layered tutu is a bright and fun choice for your little one's holiday portraits, dance recital, special occasion or gift. 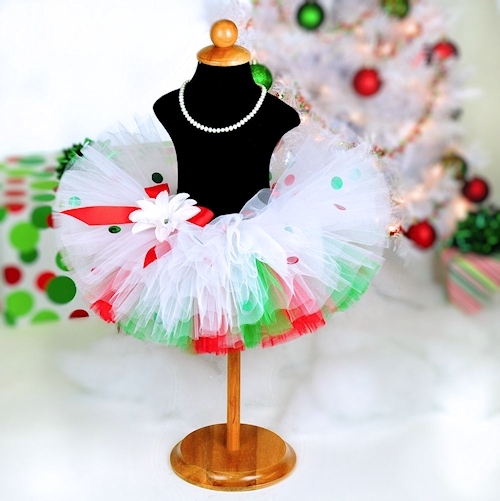 This festive layered tutu is made with a top layer of white tulle and a bottom layer of alternating red and green tulle. Securely fastened throughout the white tulle are large diameter mirrored sequins that brilliantly reflect the light. Tutu includes a satin bow at the waist and optional flower clips and stretch headband.